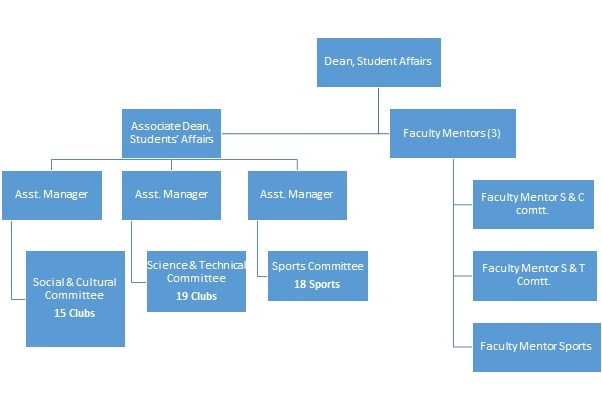 The Office of Student Activities, Involvement & Leadership complements students' academic experiences by providing services and resources that engage students in creating campus culture through social, cultural, intellectual, spiritual, athletic, recreational, artistic, political, and service opportunities. The Office supports the student organizations that abound at PDPU. Opportunities are provided for student participation and leadership experiences in a variety of officially recognized clubs and organizations. Currently it mentors and funds around 20+ student clubs which conducts around 175 events throughout the academic year. The staff is committed to delivering quality advising, resource materials, leadership development opportunities, and administrative support services to impact students' growth and development and enhance the success of each student organization. It ensures that students with Leadership qualities get platform to experiments with their ideas and enhance their skills. These leaders keep the campus buzzing with their innovative events and also ensure that talented students get chance to showcase their talents in those events. There are sports/recreation clubs, special interest groups, professional societies, social service activities, cultural & technical events.